It is worth a short review of the season to date and some thoughts on rating levels. With the Royal Ascot races around a month away what are we to make of 9 length maiden winners like Orizaba in terms of being able to compete to win a 'typical' Coventry Stakes? Was the Listed 'Marygate Stakes' for 5f fillies at York last week a credible 'Queen Mary' trial? If it wasn't where might we be looking for the better sprint fillies? Let's start with the 'Marygate'. If we go back to Warwick racecourse on a filthy day, with horizontal sleet, and look at the fillies maiden run on April 16th - Result. The Paddock Review report didn't think much of them as a group and the race was run in a slower time than the juvenile seller on the same card. The previous year the race had produced a slow time but a reasonable winner (probably OR70s), the best type was Ramatni (still going ok in handicaps at 3yo off OR80s) and a later season winner off OR68 (called Leading Edge). As physical specimens this year's field didn't look up to that level. If you look at the results over the last few days it's perhaps times to change the Paddock Reviewer. The winner of that maiden was third in the 'Marygate' after a bump at the start and staying on late in the manner which gets people saying "6f and the Albany Stakes at Royal Ascot". The third at Warwick was the punted on Moss Likely who has a very similar profile to Leading Edge (Sire, trainer and physical setup). She won the Newbury fillies' conditions race on the same day as the 'Marygate'. The fourth (Bethie) looked poor and has run poorly since and the second looked usable at an OR60s to low 70s level and has run like that since. Miss Hollybell ran moderately STO when trying to mix it with Missile Dodger (who ran poorly over 6f yesterday after leading at the 5f mark) but ran well enough this week against solid colts when second in a '2f sprint' after being held up. So, what's going on? Time to replace the Paddock Reviewer or perhaps the sleet was blinding them. Well, no-one's going anywhere and it's at times like this that a clear headed look at the actual strength of the form we've seen helps to put matters into a proper context. In profile the 'Marygate' looked a weak edition populated by a set of similar, early season fillies, without longer term prospects. The possibles on paper for a better winner either didn't run (Maggie Lou), didn't appear to stay (To The Point who made a move to lead before fading in the final furlong) or didn't look out of place amongst the standard on show (Doughnut). The race got a B2yoR estimate of 50 which equates to late OR70s handicappers in the 'Overall Season' view of form. Listed races of this type are often won by, typically, OR88 handicappers who can look like the 'real thing' because they are so precocious they can run to that level in early season. By the end of the year the physical development required of a 2yo just to maintain it's rating position is in the region of 18-20lbs. If you were a small & ready filly in early season who can't make the required progress you'll drift back through the metaphorical pack to whatever your real OR level is. Last year's 'Queen Mary' winner got a B2yoR rating of 74 to give an idea of the difference in level between what the 'Marygate' gave us and what is likely to be required. Bahamian Babe put up a thoroughly admirable performance in the race in contesting the lead before dropping back a little as a couple made their efforts. She wouldn't give in though and battled back to lead and was still sticking her head out to keep ahead of the closers at the line. Her athleticism and desire make her unusual and lift her to the front of the early filly group. But, in a 'normal' year she would come up short in the Queen Mary and finish in the 3rd-7th region depending upon the depth of quality on show. Going back to last year's race - Result - let's think about the quality required and where the fillies at the front had come from. The first and third came from Ireland and this is a regular source of better 2yos to descend on us (the 1st & 4th in the Coventry in 2007 came from there). The second made her debut in the Thirsk fillies' maiden that Haigh Hall won from Excellent Show two days ago and both those fillies have different profiles (sales price, etc) from the fillies in the 'Marygate'. 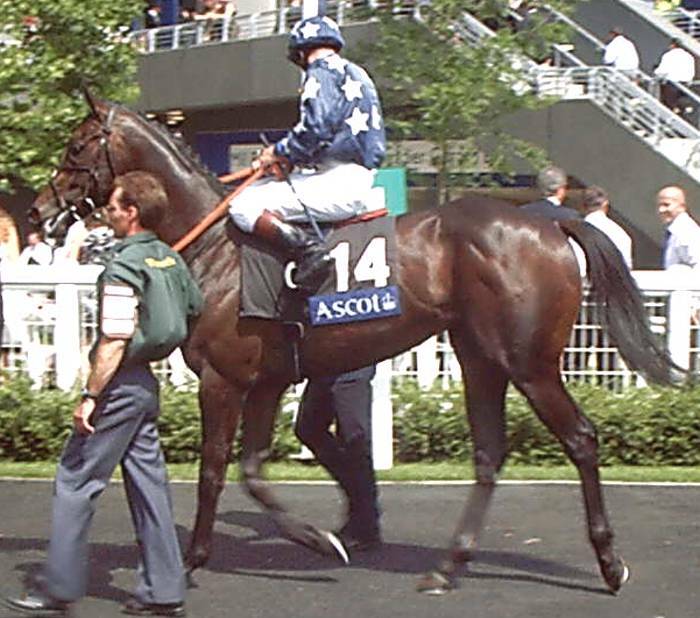 The 4th was one of two fillies that Jeremy Noseda debuted on June 6th in 2007 (the other was Group winner Fleeting Spirit) so perhaps we haven't seen the best of the British fillies at all yet. The 5th was the useful Hannon filly Cake (i.e., exactly the same connections as Doughnut) who had made an earlier April debut. After that you are already into the handicappers, at best. And, where were last year's Marygaters? The winner was Janina who would have looked superior physically in this year's field and she only managed 6th. Her runner-up in Tia Mia was 10th and is currently making some sort of a job of competing at 3yo or OR90ish but probably is an OR80s filly. 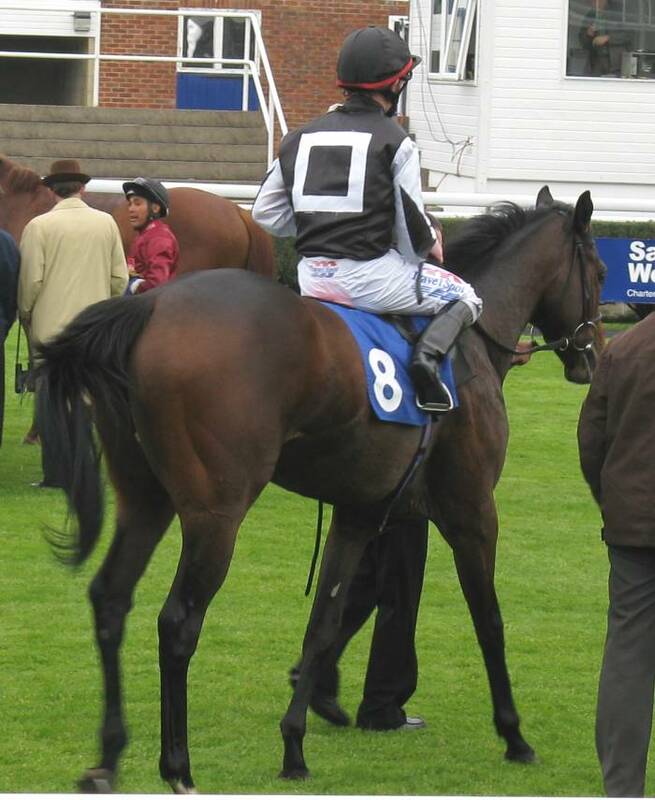 The third at York in 2007 was Cristal Clear who finished last and won a nursery in later season at 2yo off OR88 (a number that often crops up). You get the point, this year's first three in the 'Marygate' are probably not up to the level of 2007 and that group found some better horses to push them well back at Ascot. It would take a thin year for Bahamian Babe to win the 'Queen Mary' and Aspen Darlin the 'Albany Stakes' (i.e. the 6f fillies' championship event at Royal Ascot). Have we seen any fillies already that might be the better end of the British 'Queen Mary' runners? The two you would pick out would be Danehill Destiny who won the Newmarket fillies' maiden in mid-April. If you use the rule-of-thumb that you want to see something different from the better types that marks them as a above the average then she passes that test. She wouldn't stand out on size but is very strongly built. She did show a real change of pace to go clear in the Newmarket race though and that marks her as a possible better one. The fillies behind her were a mixed group and the abilities a little mixed up but solid enough to say that Danehill Destiny wasn't going past 'trees'. We probably have some better fillies still to see from Jeremy Noseda but his Mythical Border made a very good debut at Lingfield on their turf track. She ran away from a limited group and that tenders enthusiasm for the form as such. But, she made ground easily off the rail which is a good sign at Lingfield. The best of the David Evans fillies would be bidding for the 3rd to 6th range on what we have seen. She's A Shaw Thing looked very good in early season on soft but less good in the Lily Agnes and the early form is probably over-rated. It wasn't obvious when she beat Sally's Dilemma at Nottingham that the runner-up had gone so far backwards in performance from her Brocklesby victory. White Shift runs at Windsor today and will be assessed there. The best of those seen is probably Miss Chamanda who, although narrow through the body, has a bit more size and range to carry her further into the season in competitive terms. Before moving onto the colts it would be interesting to know how many form students came to the conclusion that Gone Hunting was a certainty for the Newcastle Novice race on Saturday. On his last run at Thirsk he had finished just behind Bahamian Babe (went on to win...etc.) and just in front of Lord Shanakill who had been successful in the important 6f maiden at the York meeting. Form franked with a capital Frank, surely? How come he finishes 5th of 6th and behind Saxford whom he also beat at Thirsk? Lots of strands to pull together but in summary. Bill Turner had his runners much readier for the season start than most and more forward than his runners in 2007. The two with some ability won very early but nothing since. Those two early winners have both run poorly since. Sally's Dilemma has run three very bad efforts since. The trainer often targets that mid April Thirsk meeting and Gone Hunting was probably at his peak then and gone backwards since. He only got anywhere near Bahamian Babe at Thirsk because she had worn herself out in a pace duel early in the race (and burst those who tried to mix it with her). At York last week the impressive thing in that Bahamian Babe mixed it the whole way and was still going forward at the line. Karl Burke doesn't get his 2yos ready to win until well into May and Lord Shanakill's debut stood out as a relatively better effort from his early season debuts. However, he was well below what he can do and stepped up to 6f and with a month's more training the Lord Shanakill we saw at York wasn't anything like the April Thirsk version. So, Gone Hunting wasn't a representative of the better end of what the other pair could do from his Thirsk form and the Newcastle 5th about what he should have done. A couple of other items though. Linda Stubbs brought both of her early season runners (Saxford & Russet Reward) to run to their best on Friday and Saturday with both just touched off by better physical types (but s plus for the stable because they had got their cheap ones running to their maximum). Saxford had finished behind Gone Hunting at Thirsk mostly because he had been broken by trying to go Bahamian Babe's pace. The other thing that showed up in the Newcastle race (and does at other courses) was how important staying close to the stands' rail was. As soon as Gone Hunting drifted left off the rail he went backwards even faster. The runners keeping on well and making ground from being outpaced kept close to the rail. Let's now turn to the colts and focus of two debut successes by Mick Channon last week with Cerito & Orizaba. The trainer hadn't been in good form in early season but as May has progressed he has come into top form. After the wins by these two he said he knew they were "Okay" but hadn't been expecting them to win by so far. He also said they had been working together and were on a level with each other and that partly explains the confidence on show behind Orizaba's Newbury success. If we go back to last year's Coventry - Result - Henrythenavigator got a rating in the mid 80s (B2yoR scale) for his win (the top for the whole year was New Approach on 112 for his Dewhurst win on the overall season scale). If you look behind him there aren't a lot of 'important' horses in 3yo terms and the only later winners, at all, as 2yos were Luck Money (Irish sales race), Coasting (nursery off OR85 which got him up to OR91 and either side of that OR88 number again) & Dubai Dynamo (Listed Redcar Trophy and a typical slow developer with racing that Stan Moore goes for (either consciously or perhaps without planning)). Orizaba's debut effort was rated B2yoR 70 and he looked remarkably ready for the day. He's the typical narrow and light build type (Picture) the trainer has with some range and, because he doesn't carry 'condition' (fat), was very fit FTO. On Paddock Review he doesn't look a superior type and you suspect he has less improvement than the average. Which means he's probably a 70s, low 80s nowish, B2yoR rater and would come up short in a normal Coventry. 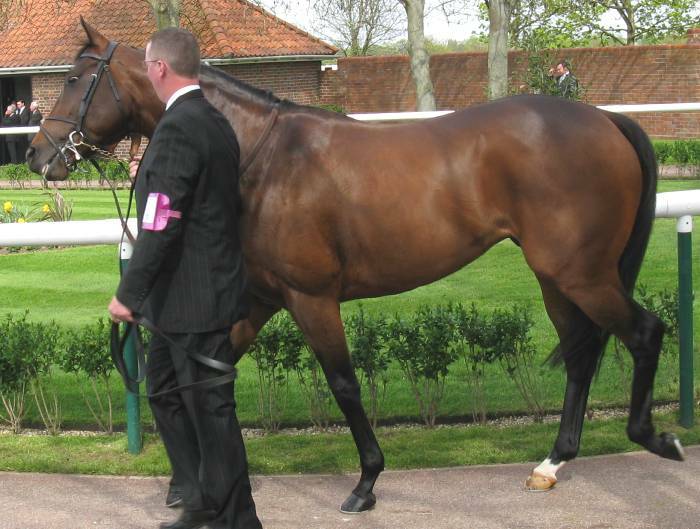 Try looking at this picture of Henrythenavigator at 3yo or this one (picture) of Luck Money on Coventry day to get an idea of the type of 'big lad' he might run into. Ok, so comparing a May 2yo Orizaba with 2,000 Guineas day Henrythenavigator is a little unfair but is he going to develop into that? Is he going to be as big and able as Luck Money? He needs to send off for the 'Charles Atlas' pack (that'll baffle the younger readers) and athleticism allied to an 'engine' will only get you so far. Cerito is a little smaller than Orizaba and his debut win may have been by 6 lengths but from less good opponents than Orizaba faced. He didn't look a better type either and another lighter framed & narrow one. You feel that there will be better ones around come Royal Ascot and, if you listen to the Channon stable, they have got better ones still to come out. The wins of these two, you feel, have probably surprised them and got them looking forward to what is still to come out. If we ask the same question about what is around already or what is likely to come along to be better for the 'Coventry' then there are more options than with the 'Queen Mary'. Of those that have already run you could pick out Finjaan and Lord Shanakill (not Paddock Reviewed yet) as having more development potential. The dreadful debuts by the Tregoning 2yos in the Newbury 6f maiden divisions that Orizaba won a half of make Finjaan's debut win seem better. Lord Shanakill put up a performance not far behind Orizaba with his York win and perhaps has more potential. The best of the British runners in last year's 'Coventry' made their debuts in mid-May and into early June including other than a couple of early season wind-ups by Jamie Osborne (winnerless in 2008). Luck Money made his debut in a Newmarket maiden which will be run next Sunday this year. Declaration Of War won the Newmarket Novice that was run two days ago this year and won by Northern Tour (not that standard). Bob's Surprise was a typical early June debut winner for Barry Hills which we should be watching out for. The Peter Chapple-Hyam horses haven't looked ready so far this year and haven't impressed in readiness and condition. He's into the period when he often brings out his best 2yos (like Declaration Of War in 2007) and in the last 3 days he has run Great Art (2nd in the other division of the Newbury maiden) and Exceptional Show (2nd in the important Thirsk fillies' race). Great Art was a very likeable type in Paddock Review and had the size to develop in the way that Orizaba doesn't. Unlike the Channon horses he looked heavy and not particularly fit. Given that he ran well to travel strongly through the race and be picked off late by Hannon's Instalment. The time was much slower than Orizaba but they went slow in the early part of the race and Great Art was miles behind Orizaba in on-the-day preparation. You wouldn't mind betting that Great Art is the better horse in the longer term. Whether he'll be ready to get to Orizaba a month from now is a trickier question. Hannon doesn't have many debut winners overall and when they do it usually indicates as better type. As well as Instalment he also had a good debut winner last week with Prolific and both may go to Royal Ascot. But, the headline point here is that asking the 'Coventry' question about Orizaba is premature because we perhaps haven't seen the best to out 6f 2yos yet and haven't seen the best of the better ones that have run. That's before we worry about what the Irish will bring. Deal Clincher (P Winkworth, Long Shot). Trainer's best 2yos usually in the earlier debuts and the above average ones can win FTO. Three debuts so far by The Saucy Snipe (6th in a big field and ready for debut but as good as she is), Hatchet Man (well beaten at Bath after a bump at the start, looked a little below average on paddock review) & Sonhador (3rd in a small field but also looked below average physically and well beaten STO). So, the readiness for debut is still there but those that have run haven't been up to the job. Perhaps he hasn't got any better ones. He won this race 2 years ago with a 20/1 debut filly so this is one to assess carefully before the run. On profile doesn't stand out. Hollow Green (PD Evans, Long Shot). The trainer has already had his best FTO win year with three successes - She's A Shaw Thing, White Shift & Heaven And Hell. Added to that are four places FTO of which three were suspect plus a good second by Miss Chamanda who would have won an average early maiden but ran into a useful looking winner. The trainer used to deal in really cheap horses and in 2005 as many as 15 of his 19 runners purchases as yearlings cost under 10,000 guineas (or equivalent in euros and he usually buys at the Irish sales because they are perceived as having lower prices). 13 of the 19 cost under 5,000. Last year this had shifted and he had more in the 5-10,000 range and some more expensive ones. A subtle change but 'real' nonetheless because at this low end of the market price does reflect physical substance to a notable degree. 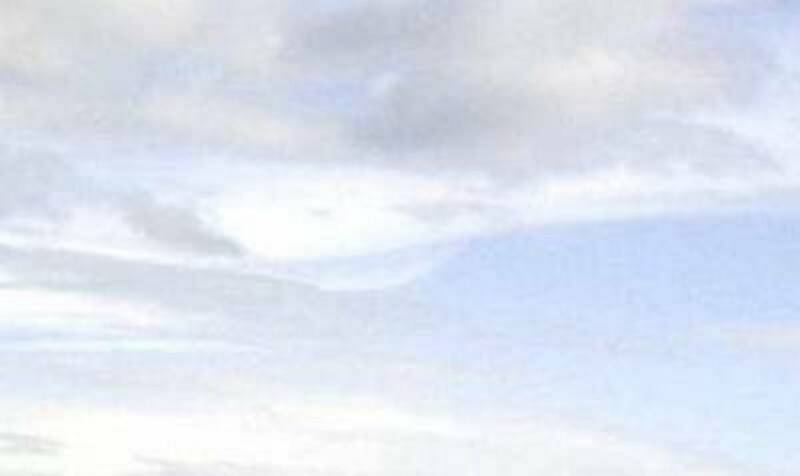 Once you get above around 30,000 the visible relationship is much less obvious, and very tenuous in many cases. This year he has already run 6 that cost 10,000gns or more and this filly is right on that break level. Which is probably why he is getting a solid FTO return. If your method is to take rabbits and get them fit for Day One of the season then the occasional diamond (say Vhujon) in the dust is going to thrash a field FTO. If you have the money to buy at a higher level you might find a couple of relative gems, or three in a good year. This filly didn't run in early season so presumably wasn't ready and her pedigree doesn't say 5f. But, she's well drawn and presumably will be ready to show what she can do. And finally, that is a problem for those who believe "...a check in the market.." should hold all the answers, especially the 'Racing Post' sumarisers who are entirely sold on this notion. The two fillies that have won FTO for Evans so far have been at 8/1 in a weak field and 20/1. The trainer said after She's A Shaw Thing won he was going to have some money on but talked himself out of it because of the ground & not knowing the opposition strength. After White Shift (runs tonight in the Conditions race at Windsor) had won at 20/1 he said he had expected her to run like that and knew she was a good one. In between that the limited likes of Crewezando & Premier Krug had both been unplaced on debut at shorter prices without looking likely to get involved. His winners and placed debuts usually lead or press the pace so you know your fate before the first furlong has gone. If you are on course and stand at the pre-parade ring you can tip Hollow Green into the 'White Shift' or 'Premier Krug' basket very quickly.